Maggiali was born in 1886 in a village between the towns of Carrara and Fossola in Tuscany. He spent virtually his whole life in this area and only moved to La Spezia towards the end of his life. He was a school teacher by profession, but an ardent amateur maker and violinist. He is believed to have made around 150 violins, 10 violas and 3 cellos. Maggiali received guidance from Igino Sderci and his work strives to achieve a similar cleanliness of line. Maggiali entered instruments at the Expositions in Florence in 1951 and Rome in 1954 and his successes inspired his continuing work with Stradivari and Guarneri models into the 1960s. 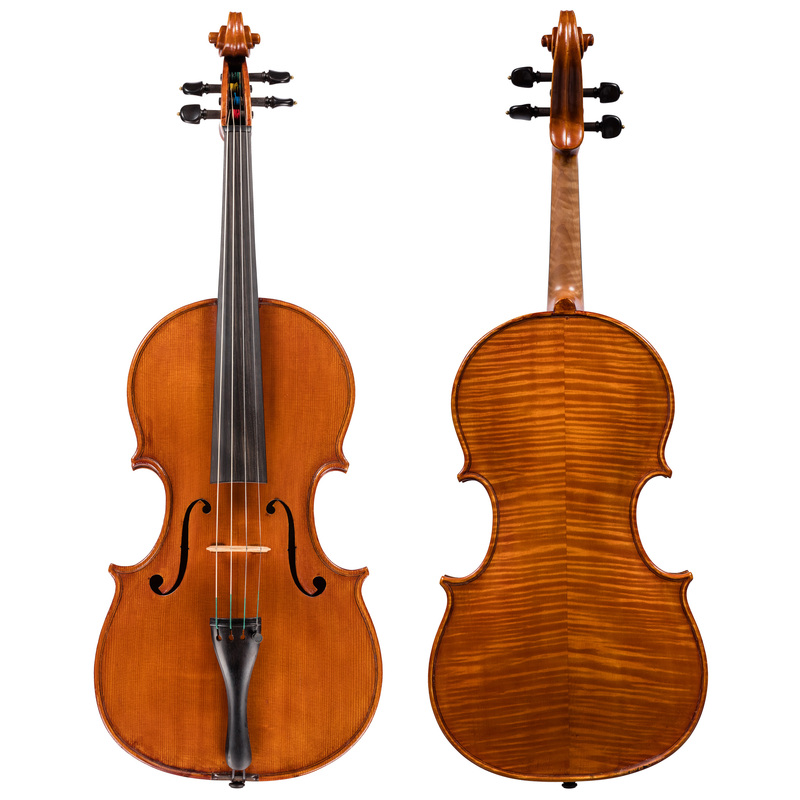 This successful viola is for many players the perfect body length. It has none of the eccentricities we often find with mid-20th century Italian violas. So consequently, the character of its refined sound makes it of particular interest to any serious players who is looking for a healthy instrument with more than just a one-dimensional sound.